Raphael Young booties. sculpted lucite heels. so gorgeous. here's a better picture of the lanvin x h&m collaboration shoes. 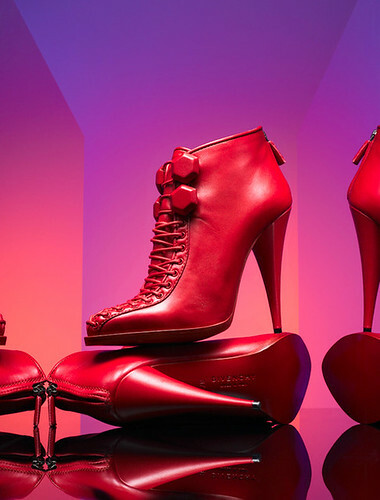 Givenchy red lace booties. 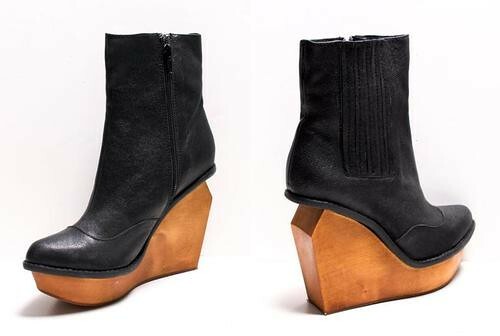 these are fierceness booties! Raphael Young blue suede booties. oh sigh. i want these booties in my closet please. oh Balenciaga, you have my heart. Alexander McQueen brown shearling boot. i have found the perfect fall boots. Christian Siriano sculpted cut-out heels. he does amazing work. i didn't know he did shoes!? Rachel Roy. you can't go wrong with studs AND glitter. LOVES. Nicholas Kirkwood teal black lace. 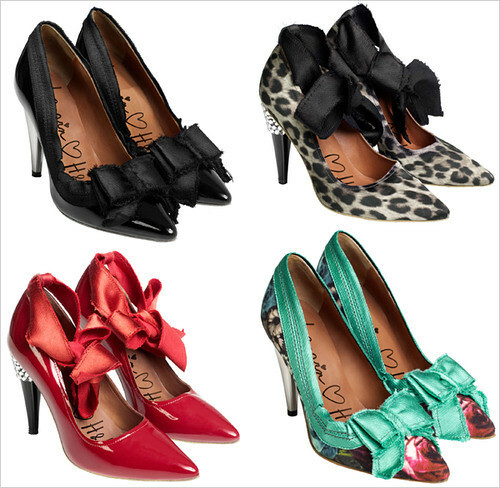 i've actually blogged about these heels before when SJP wore them to one of her appearances. but they're amazing enough to blog twice. i die for these. they're so jaw-dropping haute! Azzedine. i would love for these to be my everyday tan pair of heels..
Proenza Schouler sculpted wedges. jessica alba wore these babies before to a red carpet event. they're funky aren't they? i love. i adore. i LUST. shoe addiction at its worse. me too! i am such a shoe whore.